Home / SuperSerials / Tech Makoda / WildCat International / TV Actress Divyanka Tripathi wearing KALKI Fashion for Ganesh Utsav celebration. 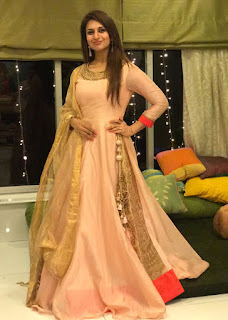 TV Actress Divyanka Tripathi wearing KALKI Fashion for Ganesh Utsav celebration. Endearing actress Divyanka Tripathi was seen wearing a pastel hued anarkali, ethinic simplicity at its best! from KALKI Fashion for Ganesh Utsav celebration.